National Home Products carry’s cabinet hardware that is rich in design and details. 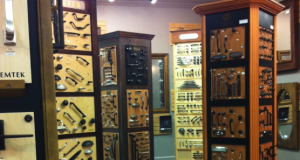 Cabinet hardware will make your home truly stand apart. NHP provides cabinet knobs and cabinet pulls to find the touch of decadence you deserve. You will find decorative cabinet hardware in every style, from sleek contemporary to ornate luxury. Stop by our Showroom to view by style, collection, or finish to find exactly the right product for you. We are here to help by providing advice and design consultations as well as installing your cabinet hardware.